TEAM Referral Network is THE place to be when it comes to networking. With chapters spanning across the globe TEAM knows how to connect business owners in a healthy and positive environment that helps their business grow. Their motto of “Don’t hire a sales team, join one,” has helps thousands of businesses reach new clients and customers by finding the perfect combination of face-to-face and online networking. 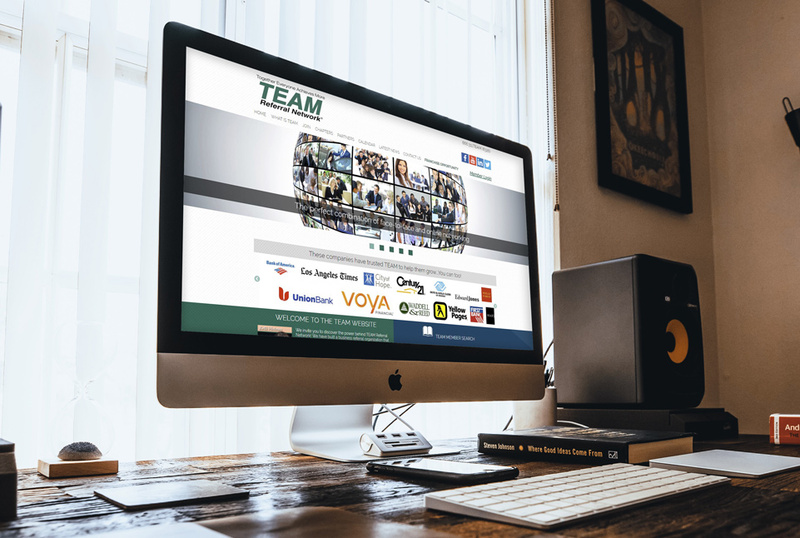 TEAM needed a new website that was more than just a brochure on the web. The needed a custom solution that allowed each member to have their own customizable landing page within the site itself. The website also has a tiered access system in the back end that allows each chapter to be able to maintain and update their content without leaving the primary site vulnerable to glitches or downtime due to member mistakes. They also have an extensive back office with tons of support material for each chapter and member to use to truly maximize their membership. In addition to the website, Stebbins Media has also designed many of their custom member profile photos as well as the postcard they use as a “leave behind,” piece. We aren’t just fans of TEAM, we’ve also been a member since 2009!